Baccarat is a favourite game of high rollers. It's a very simple game to learn and has a low house edge on two of the three possible bets. 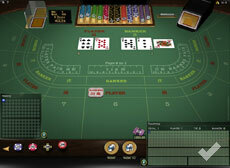 Online you will find at least one baccarat game at most casinos. 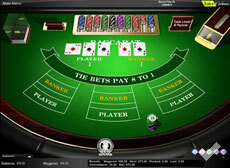 The live dealer games are now becoming very common and offer another way to play online. If you're a high stakes player we also suggest checking out the best Online Casinos for High Rollers. 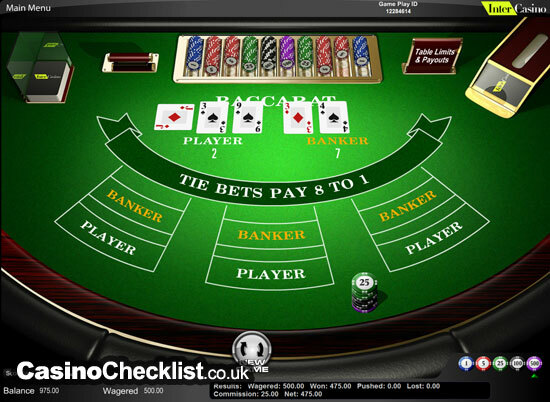 Baccarat is a casino card game then has three betting options. Player, Banker or Tie. 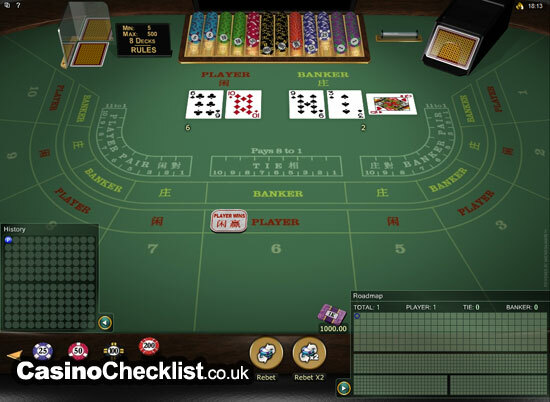 Also known as Punto Banco, it is a simple game that is very popular with the world's biggest high rollers. The great news is that the house edge is low on the player and banker bets. The magic number for a baccarat hand is 9. In fact no hand can go over nine as the second digit is always removed from the hand total. Cards 2 through 9 have their face value, 10 through K are worth zero and Aces are worth 1. For example a hand with two 10's and a 5 equals 15 which in baccarat is 5. As a player you have three choices as to what to bet on. You can bet that the banker hand will win, that the player hand will win or that the two hands will tie. Pay off for a player win is 2 to 1. Pay off for banker is 2 to 1 less 5% commission and pay off for a tie bet is 8 to 1. Once you have decided which outcome to bet on you simply have to watch what cards are dealt. There is no further decision to make. The player and banker hands are both dealt two cards and at this point if either hand totals 8 or 9 both hands stand and the hand with 8 or 9 wins. In other cases the third card rule comes into effect. This works according to pre determined rules. A third card is dealt to the dealer or player hands based on the following rules. In general our best tip is to always bet on banker as it has the lowest house edge. This is the reason that 5% of the win is taken in commission as the casinos would simply not offer the game if they had a negative house edge. Online this commission is taken directly from your wins while at land-based casinos it is collected when you leave the table. Another thing that many players like to do is keep track of the hands being dealt as sometimes there will for example be a shoe which ends up with lots of ties or one particular hand. If you like following streaks then this is worth a look although going with the odds you are still better off simply betting banker every hand.